A new initiative is launching this month in Washington, D.C. The Partnership to Advance Youth Apprenticeship (PAYA) is a multi-year, collaborative initiative that will support the success of efforts in states and cities to expand access to high-quality apprenticeship opportunities for learners in high school. One area of focus for this work will be improving public understanding and awareness of high-quality American youth apprenticeship. To learn more visit their website here. 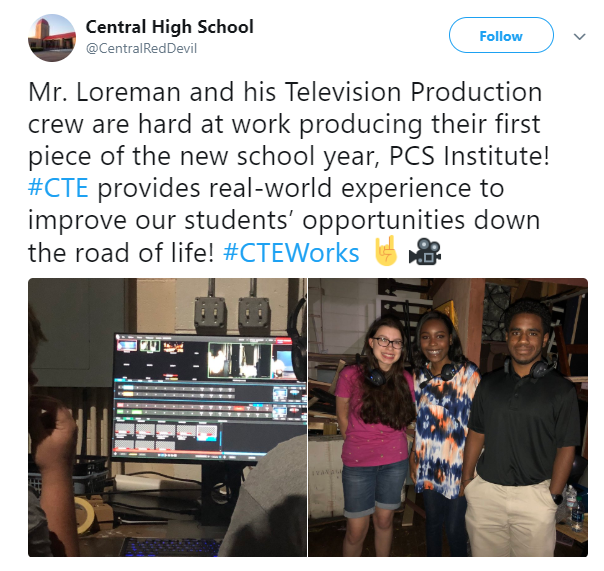 Worcester Technical High School learners and instructors were featured on CBS This Morning’s education series – Schools Matters. The video takes you into the spaces where learners are gaining real-world, hands-on experiences. The school offers 22 Career Technical Education (CTE) programs of study that prepare learners for postsecondary education and the workforce. Worcester Technical High School’s success is evident in the numbers. It has a 99.1 percent graduation rate compared to the national average of 84 percent. Eighty six percent of graduates go on to pursue a college education. See how learners in this school are using their real-world experiences to give back to the community and prepare for their future. Equity gaps in Science, Technology, Engineering & Mathematics (STEM) preparedness and access persist among underserved populations. According to the research noted in STEM4: The Power of Collaboration for Change, predominantly minority high schools are less likely to offer math and science classes, especially at advanced levels This report from Advance CTE, the Association of State Supervisors of Mathematics, the Council of State Science Supervisors, and the International Technology and Engineering Educators Association offers recommendations to increase access to and equity in STEM preparedness. Learn more here. Last week, a conference committee comprised of members of both the House and Senate was formed to negotiate the Fiscal Year 2019 (FY19) final appropriations bill for Labor, Health and Human Services, Education and Related Agencies (Labor-HHS-Education). As we reported, the Senate passed their FY19 Labor, Health and Human Services, Education and Related Agencies appropriations bill on August 23. The conference committee has released final bill text with a proposed $70 million increase for Career Technical Education (CTE). The bill has to be voted on by both the Senate and the House and then the President must sign it for it to go into effect. Dr. Marcie Mack, the State CTE Director of Oklahoma talks with Jennifer Moines, the Executive Director of Oklahoma Achieves about the importance of creating CTE classroom instruction that emulates the workforce this includes qualified instructors. 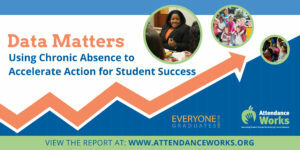 According to the latest federal chronic absence data nearly 8 million students in the nation were chronically absent in the 2015-16 school year. The definition of chronic absence refers to missing 15 or more days each year. Along with a report an interactive data map was developed by The Hamilton Project at the Brookings Institution. It provides you with the ability to explore chronic absence rates at the school, district and state level. Chronic absence levels are much higher, regardless of locale, in schools where a majority (75 percent or more) of students live in poverty. Chronic absence disproportionately affects special populations such as Native American, Hispanic, African-American, Hawaiian and Pacific Islander learners. 15 percent of students are chronically absent. Develop and implement a state plan to reduce chronic absence. Use chronic absence data as a factor in determining the allocation of related grant funding and technical assistance, as well as in conjunction with other performance indicators in order to identify broader issues. Ensure that school report cards are easy to understand. Watch this video and hear why students, instructors, and business leaders value career technical education in Colorado. This initiative allows students who have aged out of the foster care system to register for credits without registration fees. It will begin in January and include a mentorship program for participants. Nevada is the 29th state to implement a foster care waiver. Registered nurses have grown to nearly three million workers in the U.S. today and healthcare is one of the fastest growing industries. However, the report notes that one-third of registered nurses do not have a bachelor’s degree. In 2010, the Institute of Medicine proclaimed a goal of having 80 percent of RNs with a bachelor’s degree by 2020. 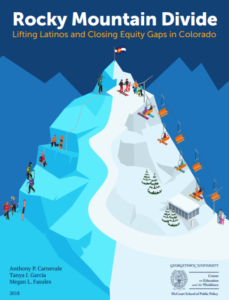 This report focuses on an apprenticeship program that is working to remove the barriers that prevent nurses from going back to school to pursue their bachelor’s degree. One barrier is being able to take classes and work full-time. Another barrier is the cost of tuition. This report is offering apprenticeship programs focuses on the Fairview Health Services partnership with the Minnesota Department of Labor and Industry (DLI) Registered Apprenticeship program for nurses seeking to earn bachelor’s degrees. Benefits of this program include being employed throughout the program and being given time from work to attend classes. One point made in the report is these programs help to create equity and that employer tuition reimbursement is not enough of a strategy to close attainment gaps. Recently, the Bill & Melinda Gates Foundation announced more than $90 million in grants toward the Networks for School Improvement, groups of middle and high schools from around the country. The networks will be groups of schools to work directly with supporting organizations such as nonprofits, districts, charter management organizations, universities, or community-based organizations. They will work together to address barriers to student success. Overtime they will use data to assess their efforts. Learn more here. We know that despite the many benefits of high-quality Career Technical Education (CTE) there are challenges with changing outdated perceptions of CTE programs. The Mississippi Construction Education Foundation understands this barrier to attracting learners to theses programs and is launching a statewide awareness campaign to help solve this problem. In Mississippi there is a need for nearly 80,000 craft professionals in the construction and manufacturing industry. The initiative, called Trade Up will focus on learners seeking hands-on training and high-skill, high-wage and in-demand career opportunities that do not require a four-year college degree. The initiative is also focused on educating parents. According to the report, states identified shortages of teachers in mathematics, special education, science, world languages, career and technical education, and teachers of English learners. The cause of these shortages include declining enrollments in teacher education. It also notes that teachers leave the profession for reasons such as a lack of adequate preparation and mentoring, pressures of test-based accountability, lack of administrative supports, low salaries, and poor teaching conditions. States are looking to create a stable teaching profession for the future. The report notes specific programming and investments states are making to address this issue. Highlighted states include North Carolina, Nebraska, Indiana, Nevada, Iowa, California, Texas, Pennsylvania, Louisiana, Mississippi, Colorado and more. The resources used for the report include submitted and approved Every Student Succeeds Act (ESSA) state plans, reviews of recent, relevant state legislation; publicly available program documents; and administrative data. The Task Force on Apprenticeship Expansion wrapped up its work and submitted its final report in May, which included recommendations around industry-recognized apprenticeship programs. Read more of the news this week from the Administration, the U.S. Departments of Education and Labor and Congress related to Career Technical Education (CTE) on our blog. To make sure you get the latest news and resources about federal policy that impacts Career Technical Education (CTE), sign up for our Legislative Updates! Watch the first episode of the video series This Is CareerTech from the Oklahoma Department of Career and Technology Education. This ten episode series gives your a behind-the-scenes look at Career Technical Education in Oklahoma. This guide from Advance CTE, as part of the New Skills for Youth initiative, outlines the different types of intervention needed for pathways, and explores the steps leaders should take when making decisions to transform or phase out pathways that do not have labor market relevance. Read the guide here. President Trump signed H.R. 2353, the Strengthening Career and Technical Education for the 21st Century Act (Perkins V), which reauthorizes the Carl D. Perkins Career and Technical Education Act (Perkins). Advance CTE and ACTE released a joint press statement after the President signed H.R. 2353 into law. You can also find additional resources on our Federal Policy section on our website. To make sure you get the latest news and resources about federal policy that impacts Career Technical Education (CTE), sign up for our Legislative Updates! 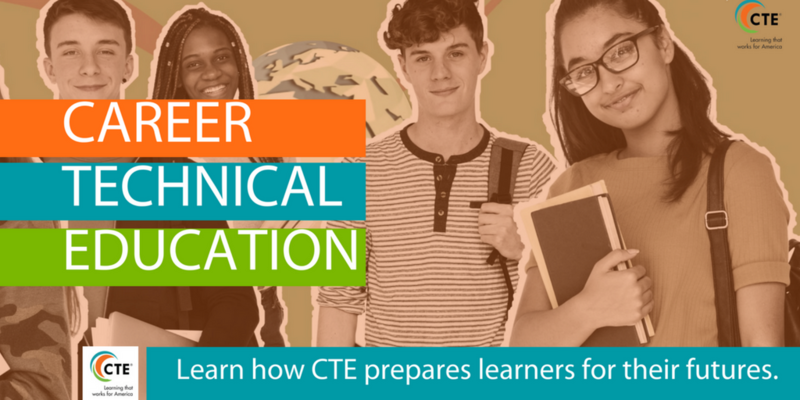 Learn how Career Technical Education prepares learners for their futures while closing the skills gap for employers across the country. Watch the video here. Postsecondary education is more important than ever, with the majority of family-sustaining careers requiring some education post high school. Learn how states ensure postsecondary programs are quality and preparing learners for future success. This report examines examples of the role states can play in ensuring postsecondary CTE program quality in California, Florida and Wisconsin. Read the report here.